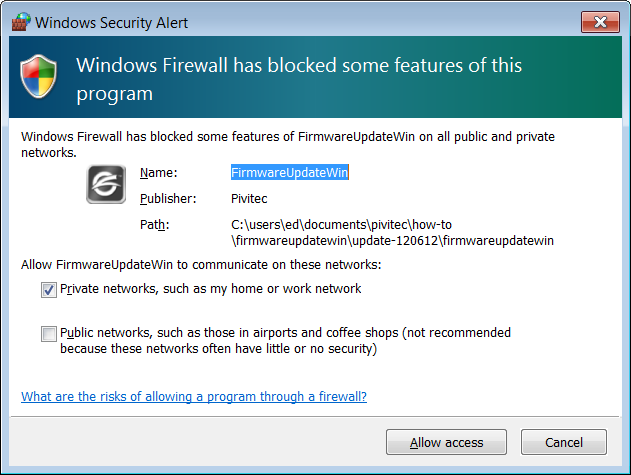 This firmware update utility allows you to update the device firmware on your Pivitec devices. It runs on Mac OS X. This firmware update utility allows you to update the device firmware. It runs on Windows XP and higher. 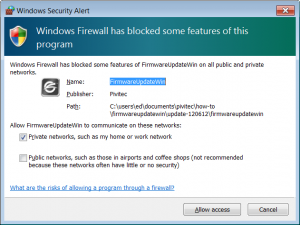 Note: Windows Firewall may ask you for permission to allow the Firmware Update Tool to run on your network. Please select Allow access, or the Firmware Update Tool will not work. This firmware update utility allows you to update the device firmware on your Pivitec devices. It runs on GNU/Linux and requires GTK.